A mother told a court she had done everything to get her teenage daughter to school. Samantha Blyth added that she had been told by Social Services that she could not drag the teenager to school. When spoken to, the teenager had said she did not want to go to school and believed it was pointless. Blyth, unemployed, 40, of Brook Street, Fleetwood, pleaded guilty to failing to ensure a child’s regular attendance at school between September 3 and November 13 last year. She was fined £40 and ordered to pay £30 victims’ surcharge. During the dates complained of the teenager attended school 32 times out of a possible 84 attendances with only six of her absences authorised. Blyth told magistrates that at the time of the offence the teenager had been living with her father. Macaskill’s home he said he worked shifts and was therefore not able to get his daughter to school. He was fined £120 with £120 costs and ordered to pay £30 victims’ surcharge. A man has made his first appearance at court for alleged motoring offences. 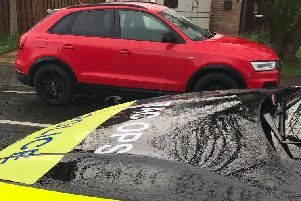 Benjamin O’Connor, 25, of no fixed address, is accused of driving a BMW on Amounderness Way, Cleveleys, without insurance or an MoT on Sunday. O’Connor was bailed by Blackpool magistrates for further enquiries into his case. A man under the supervision of the probation service did not know where the probation office in Blackpool was. Gary Kennedy did not keep appointments with his probation officer and was described as “persistently and wilfully” failing to comply with his supervision. Kennedy, unemployed, 43, of Station Road, South Shore, pleaded guilty to failing to comply with a community order. He was sentenced to a four months tagged curfew from 7pm to 7am and ordered to pay £60 costs by Blackpool magistrates. Cheryl Crawford, prosecuting for the probation service, said Kennedy had been put on a 12 months community order with up to 15 days supervision by the probation service and six months drug rehabilitation for an offence of breaching a Criminal Behaviour Order for entering an area of Blackpool he was banned from. On January 10 he appeared at court and admitted his first breach of the community order by failing to attend appointments and he was sentenced to a residence order which required him to live at his given address. While he was at court he was given an appointment to attend the probation service offices the next day on January 11. He failed to attend that appointment and a subsequent one on February 12. Kennedy was described as having a lengthy record with 89 previous offences. Patrick Nelligan, defending, said his client became homeless last year and was then made the subject of a Criminal Behaviour Order applied for by Blackpool Council but he had breached that order on a number of occasions. Kennedy, who had medical, mental health and drugs problems, had now got permanent accommodation and had committed no further breaches of the Criminal Behaviour Order. A man accused of stalking and assaulting a former girlfriend has made his first appearance at court. Daniel Boothman, 36, of Alfred Street, Blackpool, pleaded not guilty assaulting his ex on February 2. He also denied stalking his former girlfriend causing her to feel harassed alarmed and distressed by sending her abusive messages, attending her home unannounced and making unwanted contact with her between February 18 and March 14.Boothman was bailed to June 12 for trial. He must live at his address and not contact the complainant.